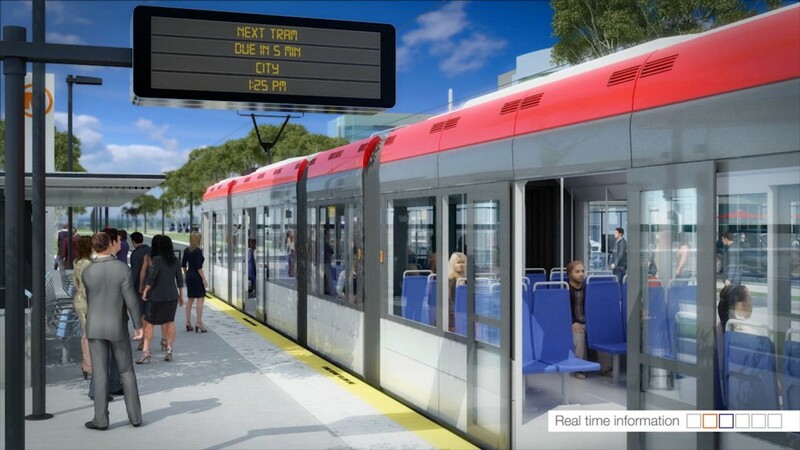 The Capital Metro Agency was established in 2013 to plan and implement the first stage of Canberra’s light rail network – a 12km route between Gungahlin and the City. The project is part of the ACT Government’s vision to create a truly sustainable city. Along with transport benefits, it will bring substantial economic, social and health benefits to the local community. The challenge for contentgroup was to build community support for the project by clearly defining and telling the Capital Metro story. Since March 2014 contentgroup has been providing content marketing services to Capital Metro Agency to assist them to tell the story to a broad audience that includes industry, stakeholders, the ACT community and the wider national and international community. Our efforts have focused on the promotion and distribution of content through a targeted content marketing approach that focuses on the questions being asked by the audience. Our work has included content marketing strategic planning, social media community management, the production of a large amount of content that includes videos, infographics, written blogs, testimonial quotes, facts and figures, and regular measurement and evaluation. contentgroup focused on presenting the Capital Metro story in a consistent and engaging manner. We developed a publishing calendar that helped the story to be told using multiple online and offline channels. We have filmed at a number of industry events and captured over thirty interviews with consultants, stakeholders, government and industry representatives. These interviews formed the basis for all of our video stories and blogs. We have also provided continuing strategic advice to support Capital Metro with its communication needs. Identifying the key elements of the story and finding compelling ways to bring the story to life through the project experts was a successful tactic. Creating multiple forms of content (video, audio, stills, text and graphics) and distributing them across multiple online and offline channels was also a successful approach. Being attentive and responsive in the management of the social media community and consistent in the publishing of content meant that Capital Metro developed a reputation for reliability and value. We didn’t try to sell the project. We explained it. Some of the short grab videos developed as part of longer interviews did not get viewed as widely as originally planned, but the longer form videos were successful with three videos being viewed by more than 1,000 citizens. The effective and regular engagement with the audience has resulted in an increased level of awareness and support from the local community, who are now better placed to make their mind up about the Capital Metro project. contentgroup has built effective communication platforms on which Capital Metro can launch the next stages of the project, ensuring ongoing communication and discussion with the audience. We continue to work with Capital Metro to ensure the audience is receiving the information they need to make informed decisions about the Capital Metro Light Rail project.